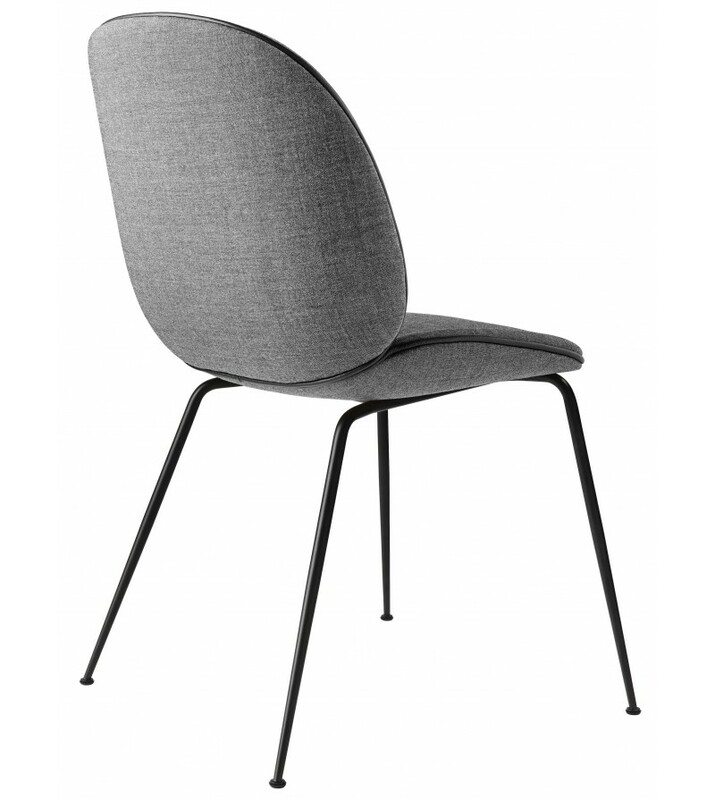 The seat and back are in laminated moulded veneer. 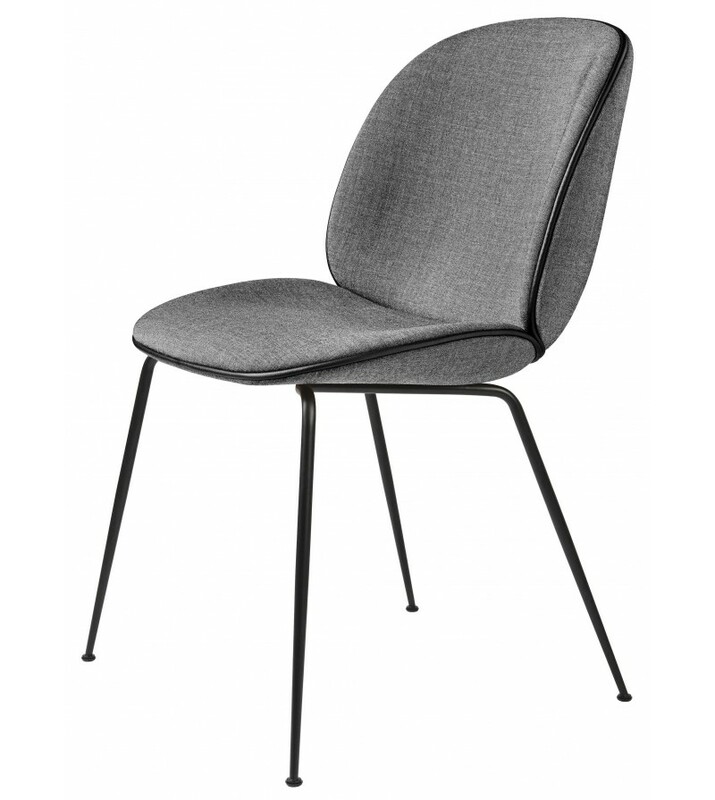 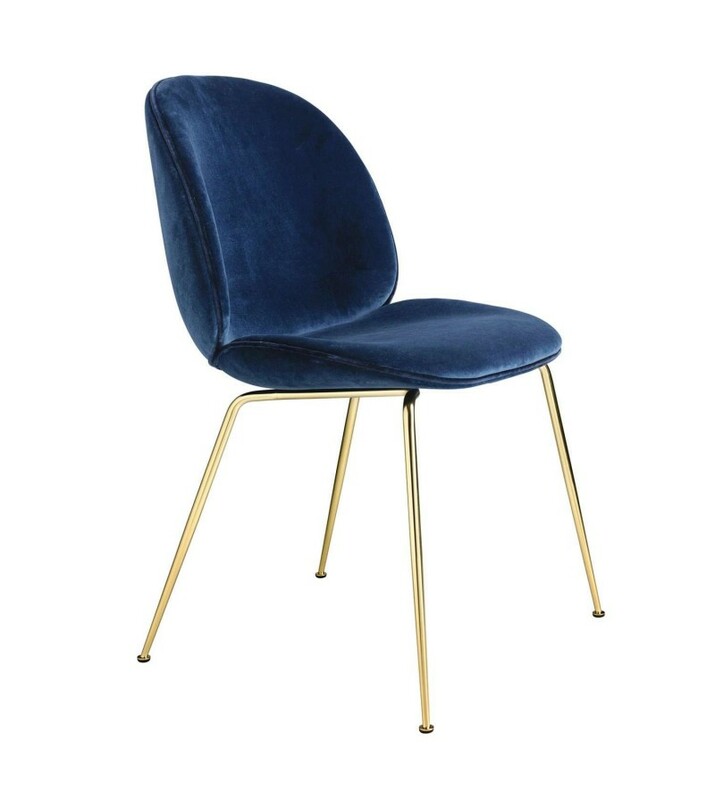 This fully upholstered Becca Chair is available in a wide range of fabrics or velvets. 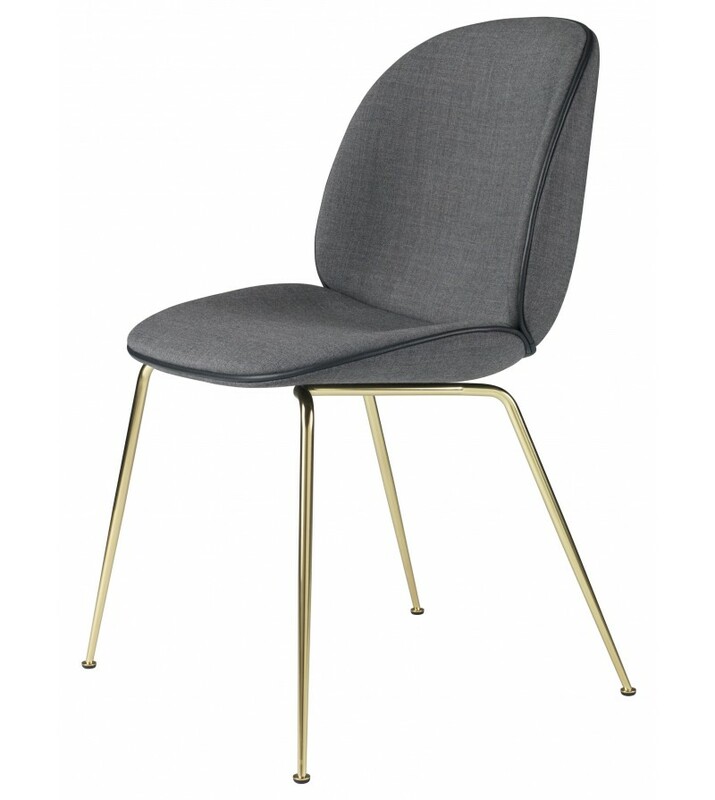 The Steel base comes in a non-stackable with conical legs available in black powder coated or brass colour.